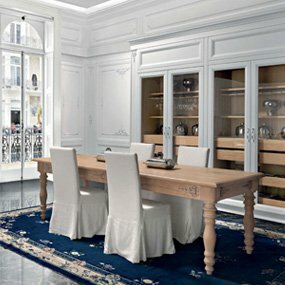 Gallery offers various inspirations for the designer in two areas of taste. 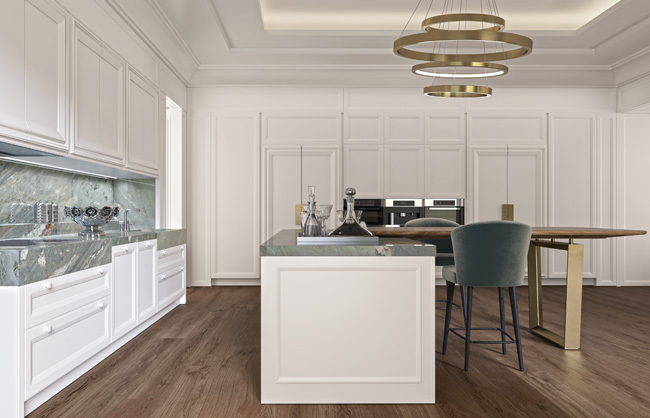 It can be clean and linear or rich and refined, with the possibility of combining elegant decorations and exclusive etchings on the wood as well as on the marble. 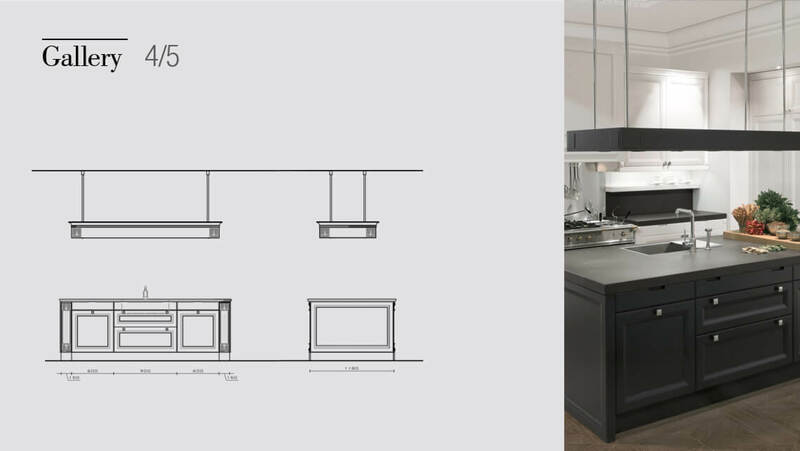 The large cooker hood is reminiscent of the chimney in antique rooms. 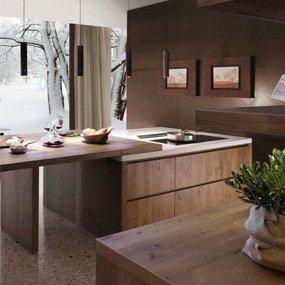 As per tradition, importance is given to the tools used by those who love cooking and the technology of the professional kitchen. 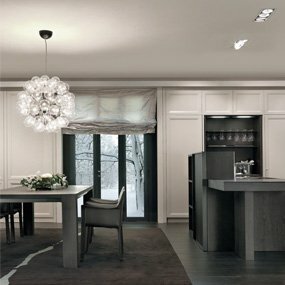 Gallery is available in two versions, giving the interior designer ideas for unique combinations for his or her project. 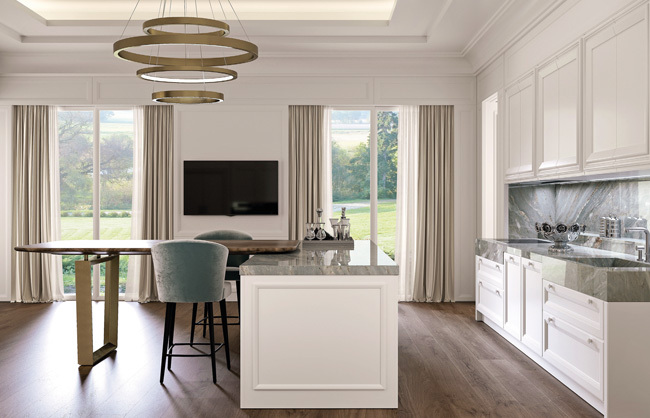 The first version of Gallery features a dominant professional kitchen block and a large hood with an antique flavour, giving Gallery its classical appearance. The white and slate of the lacquered parts and the floor in slate stone form a strong colour contrast, giving the kitchen extra impact. The second version of Gallery is done in a more modern and glamorous tone. It is based on femininity, with an emphasis on roundness and pure white colors. 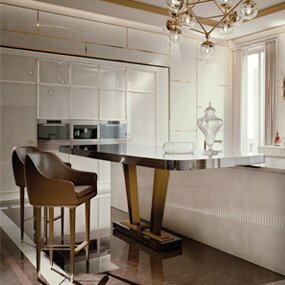 Gallery has an all-white lacquer worktop and sink and white statuary marble with rounded and clean-cut shapes. 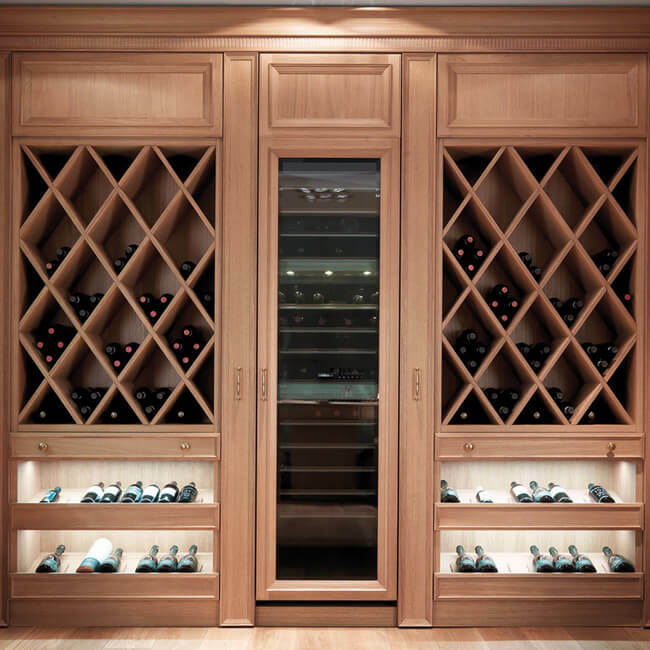 Access to the appliances hidden in the columns is achieved through doors with precut hidden grooves. 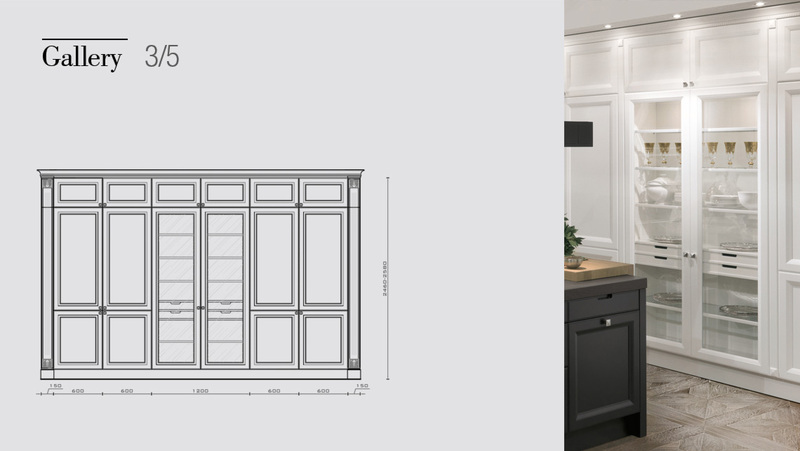 The backs of the panelling and cupboard are embellished with finely etched foliage. Phenomenon of Gallery. 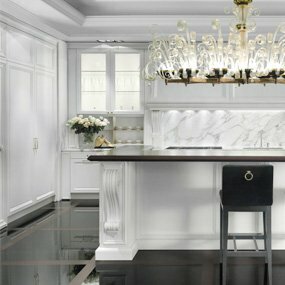 The structure of the kitchen is so universal that it’s possible to apply countless variations of colours and decor, each time creating a unique style and design. 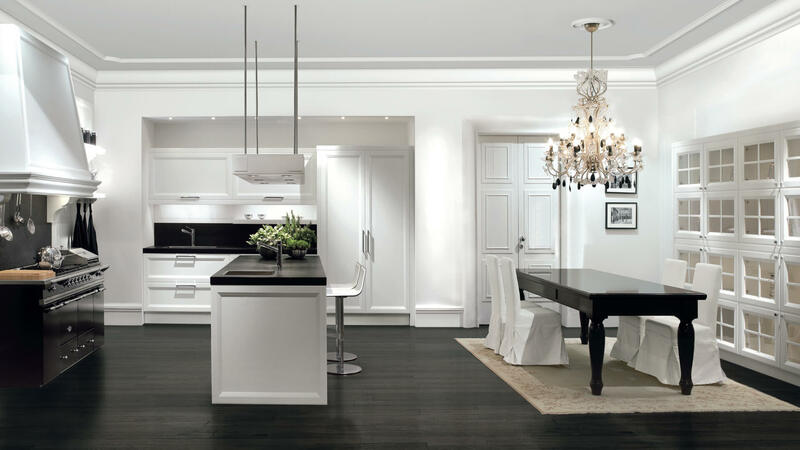 In a traditional style, Gallery advances from the kitchen to the living room. 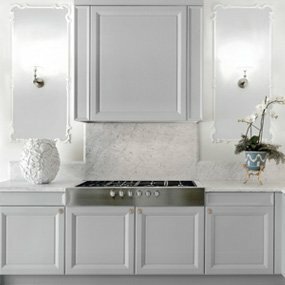 This environment is further enhanced by the incredible colour contrast among the white lacquer, the slate-coloured lacquer, and the kitchen floor in split-slate stone. 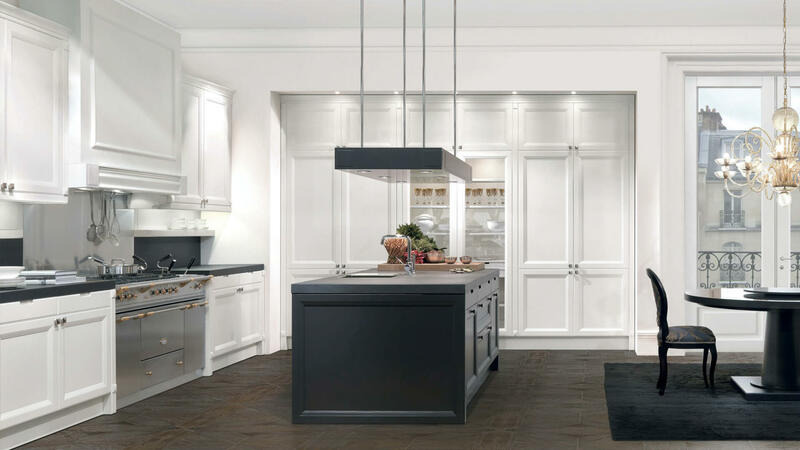 The kitchen wall is dominated by the professional kitchen block and by the large hood that reaches to the ceiling. On one side of the kitchen, you can see a wall of columns that furnish the entire space up to the ceiling. 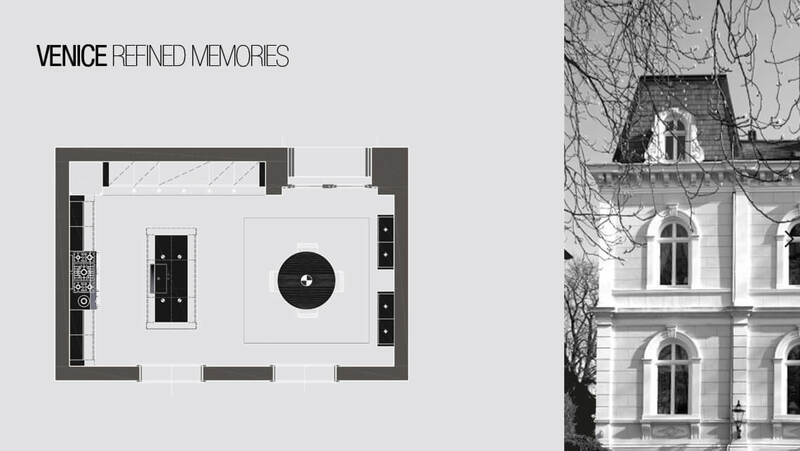 Alongside retractable technological columns, there is a display case that enriches the environment. 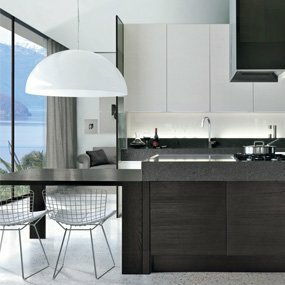 The large island counter and the shelf with spotlights above are lacquered in the same slate colour as the slate stone countertop. The other rooms in the house can be decorated in the same style as the kitchen. 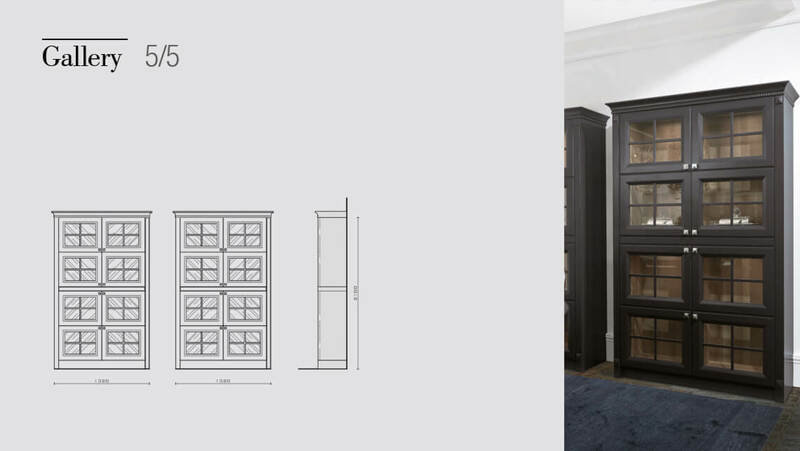 Here the furnishings are completed with two display cases in the living room, available in various sizes. 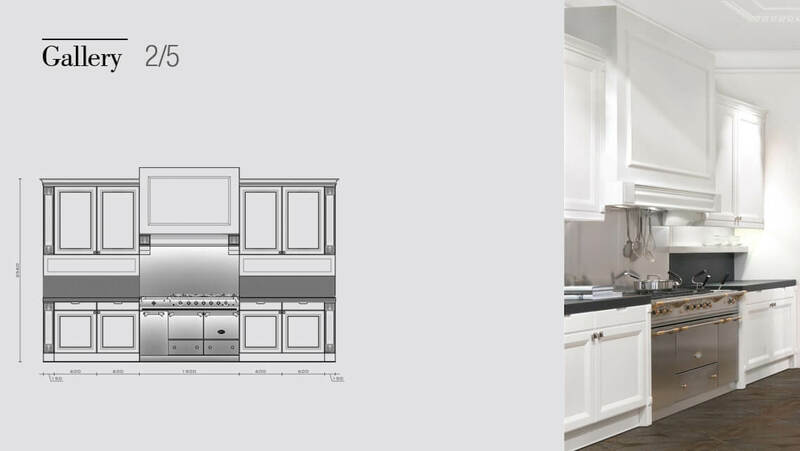 Breath-taking design meets practicality with every custom kitchen we do. 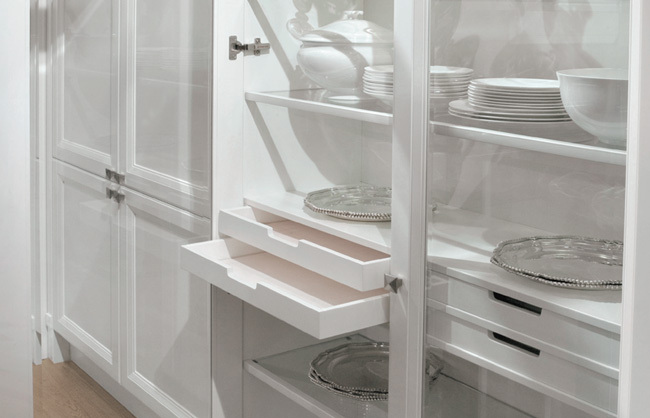 We always offer styles and products that withstand the test of time.